The best way to replace lost teeth or veneers is to undergo dental implants that are able to change the appearance of the teeth through the advances in the field of cosmetic dentistry. The dental procedures such as dental implants and bridges falls under the field of cosmetic dentistry and this varies from the general field of dentistry. Cosmetic dentists mostly work towards improving the appearance of the teeth in order to help patients have a beautiful smile and a better general appearance. Cosmetic dentistry generally comes in handy in situations when a patient loses, chips or breaks the teeth due to cavities, trauma or due to other probable reasons. When undergoing dental treatment, it is always necessary to understand the procedure and the risks and treatment options that are available to the patient. Given that dental implant procedure is a highly crucial procedure undertaken by a majority of the people, it is necessary to understand the procedure well. Earlier, the treatment for lost teeth was limited to getting dentures for the set of missing teeth. But with the advances in the field of dentistry, it has become possible to have better treatment options for all sorts of dental problems that people might be facing. For lost teeth, patients can undertake the dental implant, which allows them to have a permanent and lasting solution to their lost teeth. The procedure for dental implant treatment involves integrating the implant screw inside the jaw in such a way that allows it to bind with the surrounding tissue. 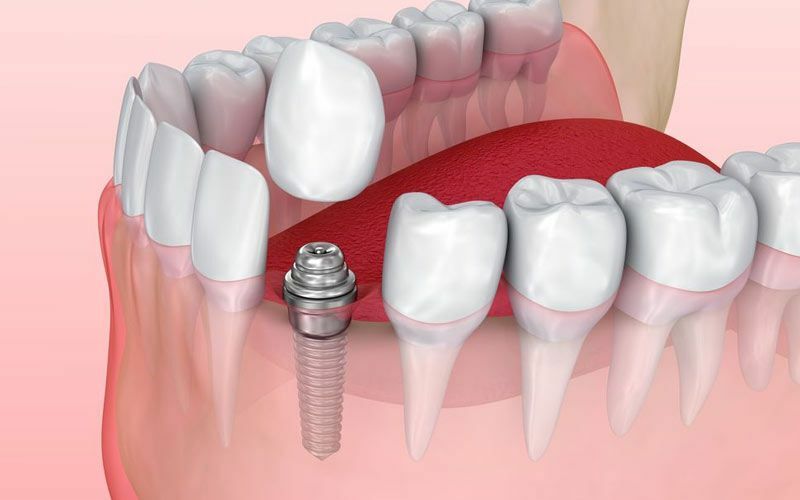 This process takes some time to get completed and then, the dental crown is placed on top of the implant screw. As the dental implant gets fused with the existing teeth next to it, the implants last for a lifetime and helps to keep the gum line healthy. In order to get the most benefits from the dental implant procedure, it is required to have healthy gums and strong bones. This is important since the dental implants will ultimately function as the normal teeth and will facilitate the chewing and biting of the food. 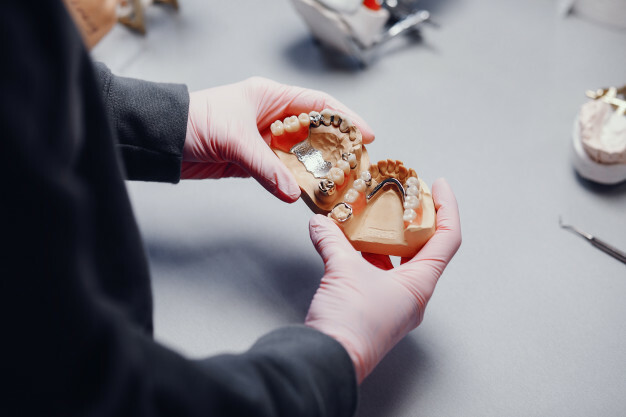 Some of the important considerations before undertaking a dental implant procedure involve ascertaining the health condition of the patient, the condition of the jaws and gum tissues as well as the size and shape of the jaw bone. Individuals who have a poor dental hygiene, diabetic health conditions or people who smoke heavily are advised to refrain from undertaking a dental implant procedure since the risks of gum infection is higher for these patients. For individuals who have been suffering from osteoporosis for a long time, there might be a risk of going through dental implant failure. Dental implants are also not advised for people who have been taking steroids for some time. There are two different types of dental implants that are currently available to dental patients. The first type of implant is known as endosteal implants and these are directly implanted into the jawbone with the help of surgical procedures. This is conducted in two stages over which the entire procedure is carried out. After the surgical procedure is taken care of, the dentists attach the dental crown as a last step to complete the implant procedure. The second type of implant is known as super-steal implants which are created with metal frames that can be implanted into the jawbone below the gum tissue. The metal frame will then get fixed into the jaw as the gum tissue heals. The posts that are initially attached to the metal frame are left to stick out of the gums in order to allow for the mounting of the teeth on top. For dental implants Scarborough, dentists prefer to use both methods depending on the condition of the patients. The dental implant procedure takes some time to be completed in its entirety. The procedure spans over several months and if there is a tooth extraction involved, firstly that is done and then the implant anchor is placed by the dentist. After this, the dental implant is allowed to integrate with the surrounding jawbone in a procedure known as Osseo integration. This takes 3-6 months to be completed. 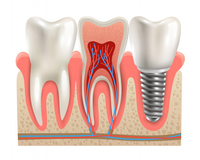 Once the implant screw has had time to integrate with the jawbone, dentists move ahead with the next step, which involves placing of the dental crown. The success of the dental implant procedure depends on the dental hygiene followed by the patients. A person with healthy gums and bone tissues will generally have a better chance of succeeding with the dental implant procedure. any complications from the procedure.